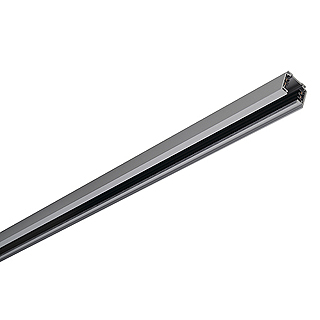 Aluminium support rail for the EUTRAC 3-phase high-voltage system. The rail itself is available in different colours and dimensions. By means of the already drilled holes, it can easily be mounted onto walls or ceilings. A similar, recessed-mounted version is available from the catalogue.